Hello Tuesday! I think it's time for a fresh white home, we haven't had one yet this year and you know how much we all love white?! 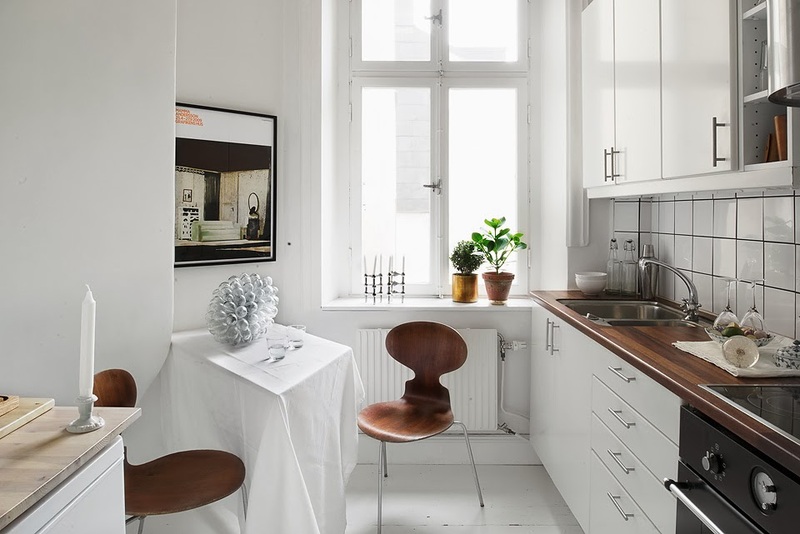 This Stockholm apartment is currently for sale in Stockholm. 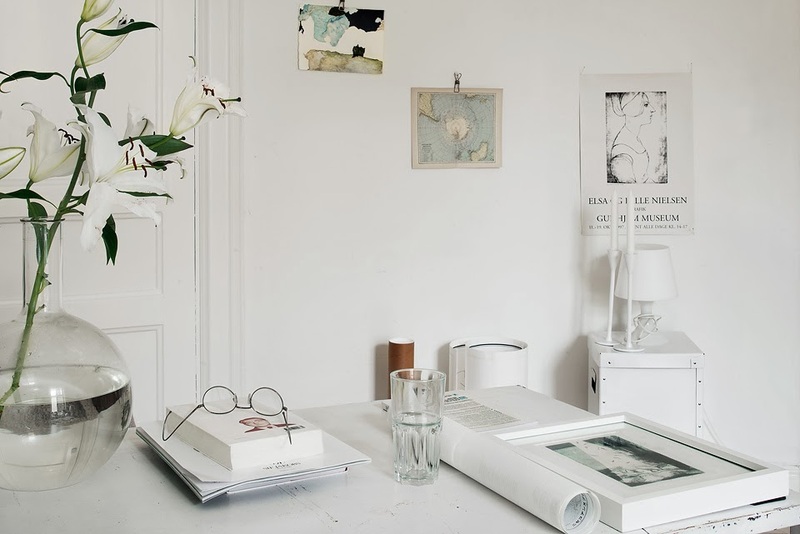 I love the white against the beautiful original wood flooring, how about you? And how cool is that lamp in the bedroom and hallway (any idea where it's from? ), it's not something I'd normally go for but it really softens the space don't you think? 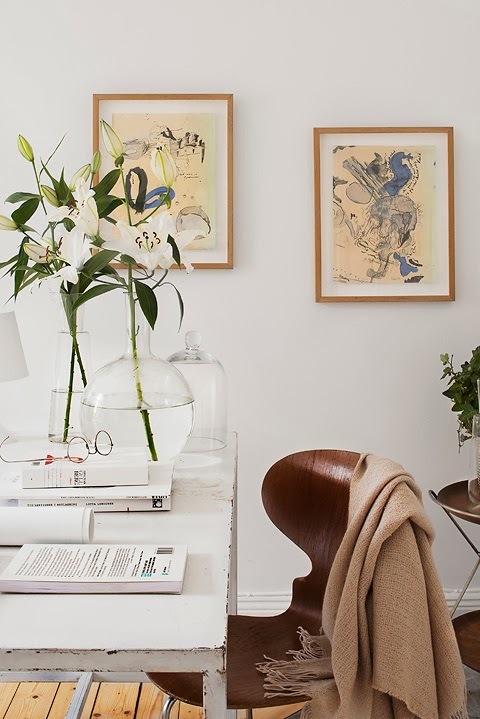 Other favourite white homes of mine can all be found here (warning - there's pages of them!). One of my pet favourites at the moment is the mix of white and gold. Just before Christmas I was lucky enough to receive a gift from Shlomit Ofir. The beautiful Alma bracelets are part of her Northern Lights jewellery collection which is inspired by Scandinavian design, scenery and lifestyle. My other favourite pieces are the bicycle necklace and Sif earrings (it's so worth taking a look, there are just so many fab pieces!). You can find Shlomit Ofir on Facebook, Pinterest or sign up their newsletter here.